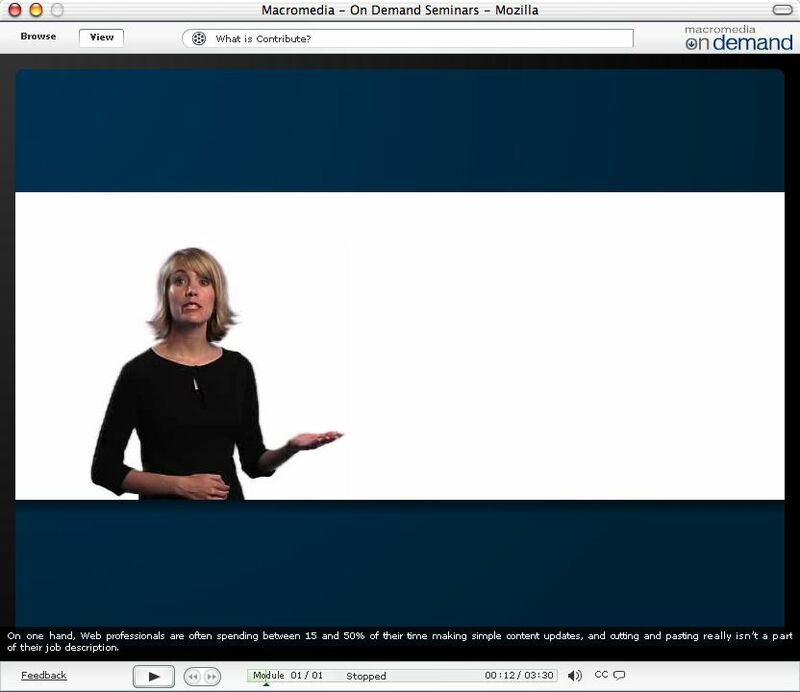 Online captioners use a range of presentation styles. The following survey discusses appearance and visual behaviour. 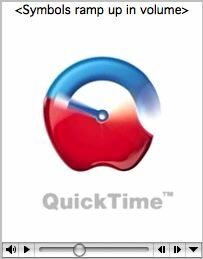 These styles use the built-in captioning features (SMIL, SAMI, QTtext, RealText, or other) of online media players (QuickTime, Real, Windows Media, or other). 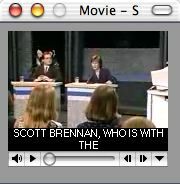 Unusual and technically more difficult than offscreen captions, but these are the norm in several other captioned media, including TV and DVD. 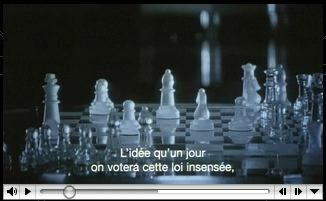 Captions that are separated from the video frame are deemed offscreen. They suffer the disadvantage of often being quite wide, sometimes causing marathon line lengths that are hard to read. 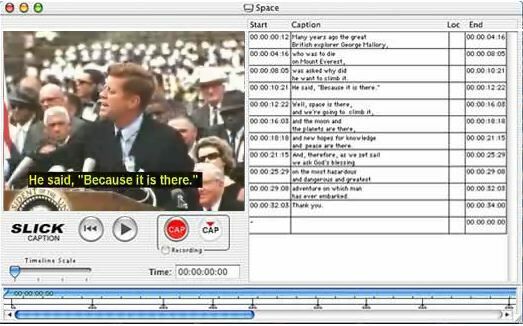 Captions whose area is large compared to the video or the entire canvas. Common. Captions whose area is small compared to the video or the entire theatre. Significantly harder to read. Not uncommon. Captions positioned at screen bottom. The norm. Captions positioned at screen top. Rare. Captions at top and bottom. 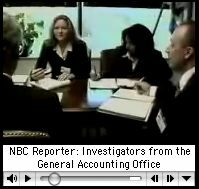 May include separate caption streams where top- and bottom-positioned captions are always visible and captions where only some captions move to the other position. Rare. Active use of colour for speaker identification and other differentiation. Rare. 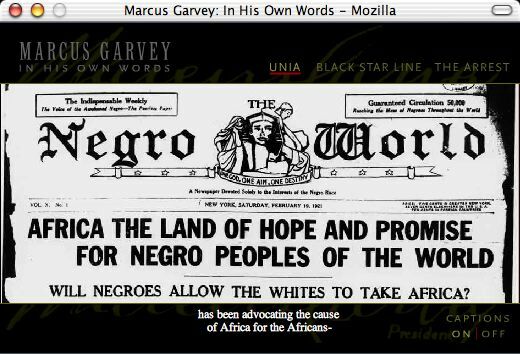 Captions thoroughly integrated into the entire graphical presentation. Rare. 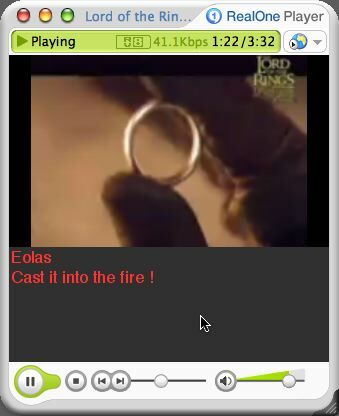 Captions using the player’s native functions that cannot be turned off. Rare. 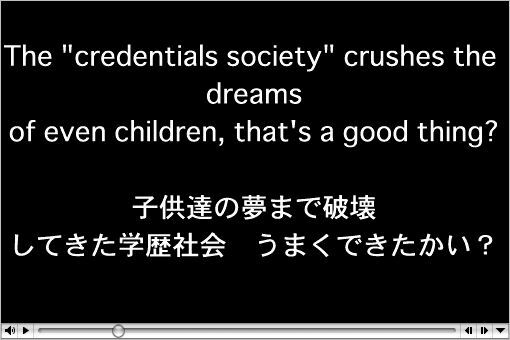 Captions permanently rendered as part of the video. Rare. 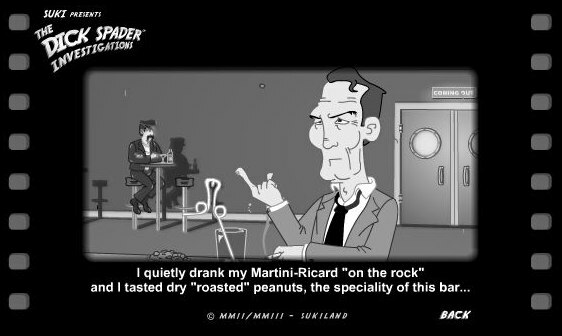 In these styles, captions from another medium (typically television) are reused. 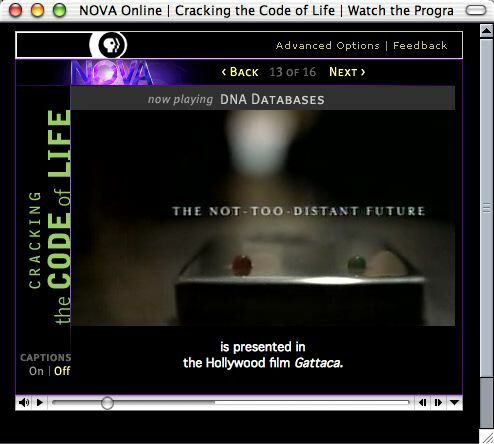 Captions are reused from another medium but are presented with the player’s native functions. Common. 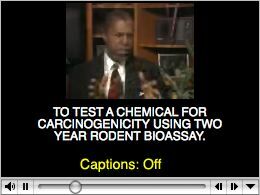 Captions permanently rendered as part of the video, usually by decoding TV closed captions. Rare. Subtitles unequivocally are not captions, but sometimes subtitles are combined with captions or use presentation methods that could be adapted for captioning. Any kind of translation falls into this category.